Looking for a USED PBLE-1325? 2 .Laser head with air assist;Singapore imported lens and mirrors Water cooling system cools the laser tube, ensures stable laser output. 3. Blade table holds hard sheet materials. 4. Leetro USB offline control system; front operate panel with LCD screen. You can export files and designs directly from a computer or through a USB. Software is included. 5. Exhaust fan, removes dusts and smokes. Protect the optical accessories and the operator. 6 .Air pump, cools the material being engraved or cut. Protect it from fire. 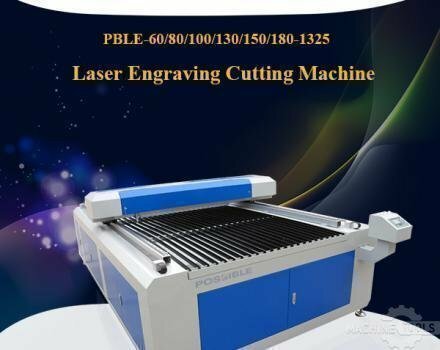 We, Jinan Possible, specialized in laser machine, such as fiber laser marking machine, diamomd girdle laser marking machine, raman spectrometer, 3d laser engraving machine and co2 laser engraving cutting machine. Looking to Purchase a New POSSIBLE PBLE-1325?